Ok I have had for 5 years now two differant families of Gecko Lizards at my house on the outside.. One family lives in the front of my house & the other family lives around the back porch of my house.. 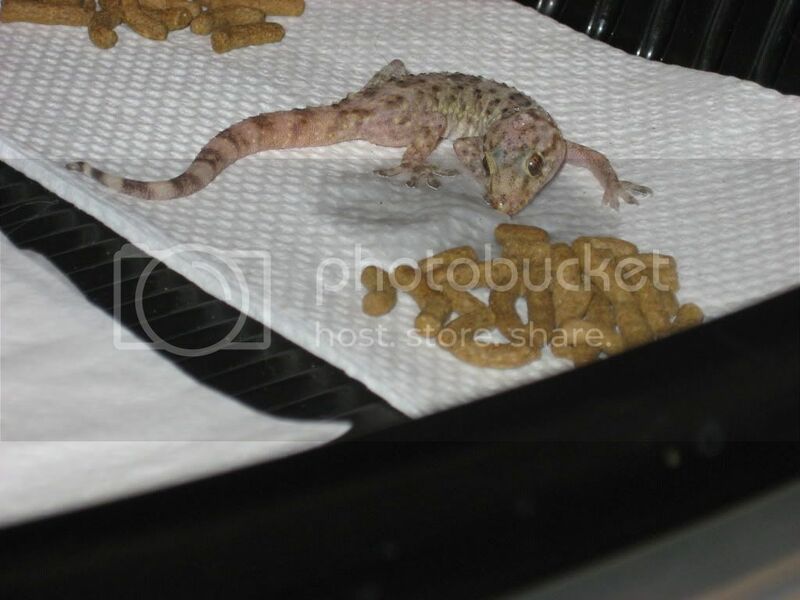 I have watched both families have babies & they grow up & ect.. Anyways I have just adored & loved these families of Geckos.. This last Saturday it was Cold & Raining & Snowing & I Found One of the Younger Babies on the Back Porch Frozen Laying on his/her Back.. I gently picked up the baby & brought into the house.. I put the baby on his/her tummy & into a small plastic item & blew small amounts of warm air on the baby.. 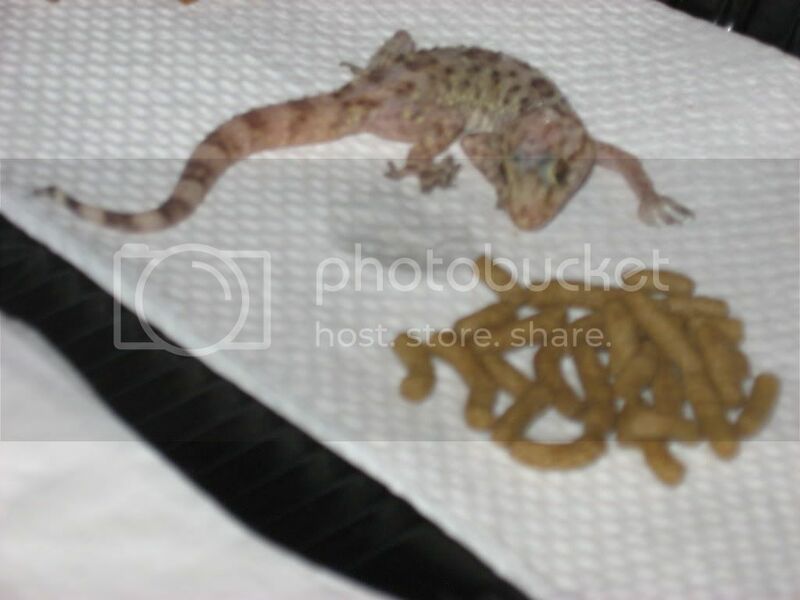 Within 4 hours my baby came back to life & slowly getting around by Saturday evening.. Well I bought the baby some reptile food from Walmart & put into some water.. Well by this morning the baby has drank & eaten all of the food.. I am so happy I was able to save this baby.. Now today is to be 70% & calm so at lunch I will go home & let the baby back out under the Oak Tree by the back yard in some brush.. I will kiss the wittle one & wish it well back into his/her home & hope to see again.. Yes I did take pictures & will load at lunch & post..
Last edited by lvpets2002; 03-22-2010 at 03:20 PM. 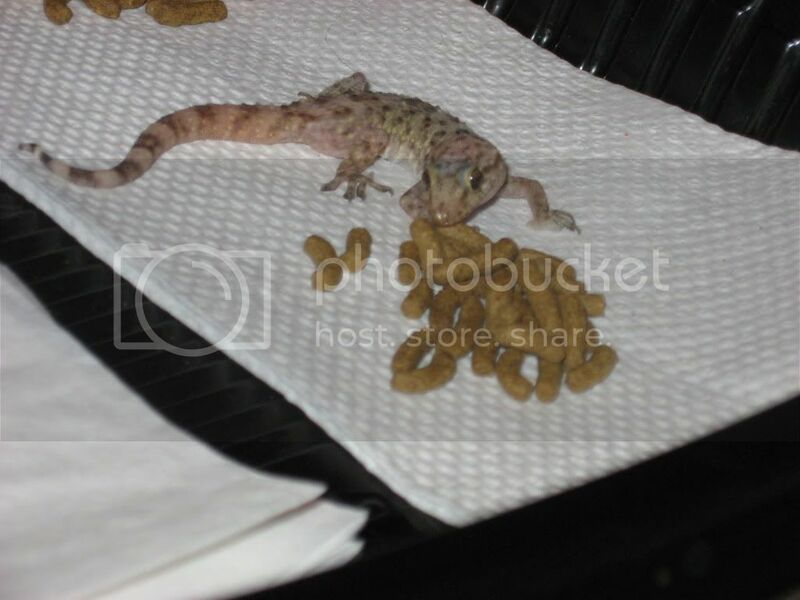 Here is Pics of the Baby Gecko that was frozen dead on my back porch Saturday.. He/She is alive & thriving now.. I today at lunch let the baby back outside in some bushes by a bigg oak tree to be reunited with his/her family.. Enjoy the pics.. I will admitt that if there is any homeless babies or injured babies = they for sure end up at my house.. Of course like a devoted mother will take care of them & ect.. I have been told that my house is a Heavan for the animals..
Well I checked again last night on the baby & he/she was long gone for the reunion.. I for sure will see him/her & family again soon.. These two families have been around like I said for at least 5 years..
Last edited by lvpets2002; 03-23-2010 at 03:46 PM. Hooray! Good deed done!! What a cool story to share with us (no pun intended). Now I have been called a Cat Whisperer.. Now a Lizard Thawer.. Sounds good = you think I can put that on my resume?? He/she is such a cute little fella/missy! It is awesome that he/she has recovered so well! Will be great for you to get to see the family again!! a true story of Pitti devotion!